The warm glow of a candle can instantly transform any room into an oasis of tranquility. That's why we offer a range of candles and accessories in a variety of colors, styles and scents.Our scented candles are particularly popular, as they not only illuminate a room but also fill it with exquisite scent. 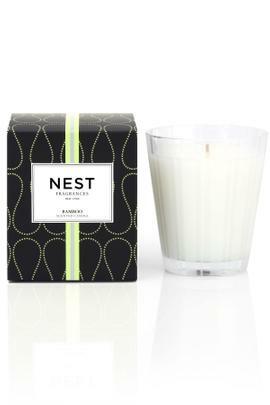 Among our offerings are NEST brand candles, which are made from cosmetic grade wax and infused with scents created by master perfumers. 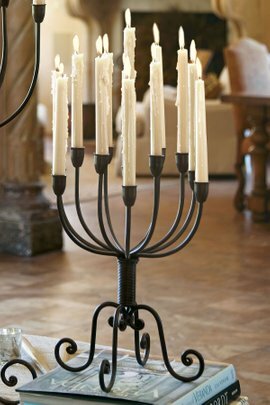 The classic design of the glass holder will fit any décor, and you have your choice of unique fragrances.Flameless candles are another popular option. These candles offer all the beauty of traditional candles, with no open flame. This eliminates the risk of fire, making this a safe option for any home, especially those with children or pets. In addition, no open flame means no smoke or other airborne particles that could trigger an allergic reaction.Candles are a wonderful way to treat yourself, and make excellent gifts for others. Browse and find the perfect candle for you or a loved one.